I want the previous year question paper of Karnataka Management Aptitude Test (KMAT) MBA exam so can you provide me? 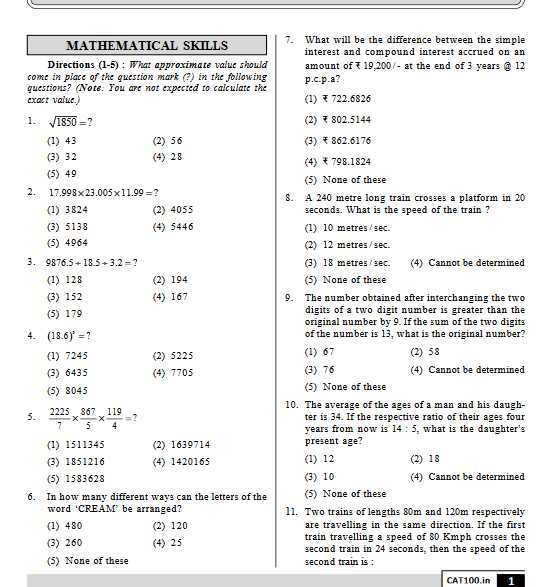 As you want the previous year question paper of Karnataka Management Aptitude Test (KMAT) exam so here I am providing you. seconds. What is the speed of the train ? of the number is 13, what is the original number? year ago, was 4 : 5 and after 1 year it will be 5 : 6. What is the present age of Sweta ? is given. Find out the wrong number. by 4, 5, 6, 12, 15, 18 and 36 ? of 10 Kmph, he reaches the office late by 5 minutes. digits will replace $ ?